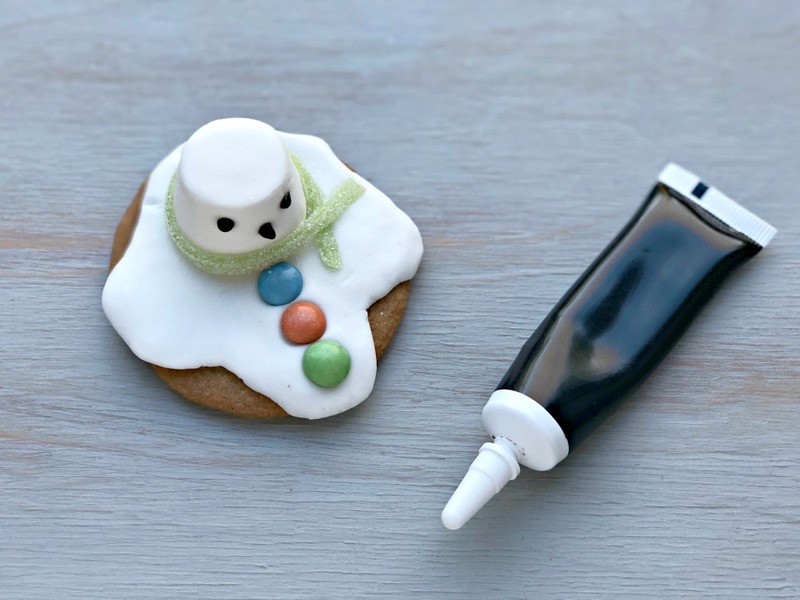 These cute little melting snowman cookies are so easy to put together and perfect for making with kids at Christmas time. 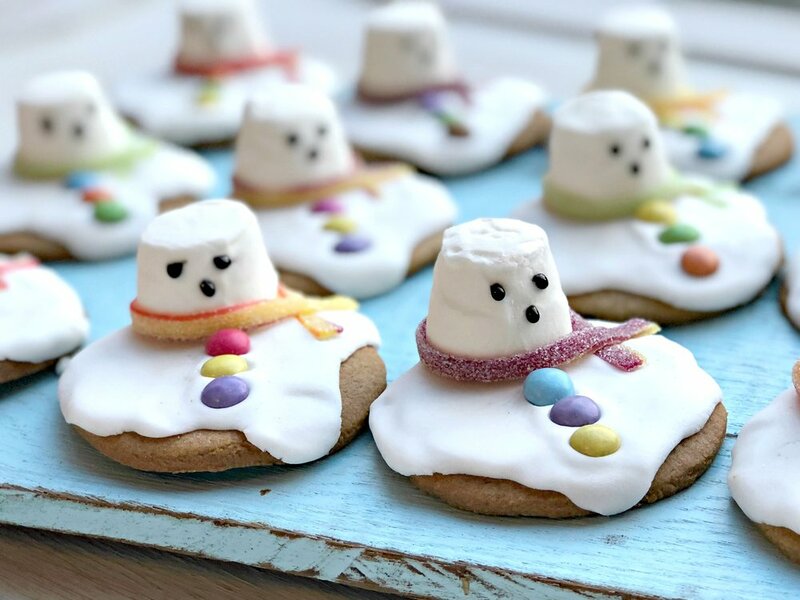 We baked round gingerbread cookies to use as a base which are easy for kids to bake as well. 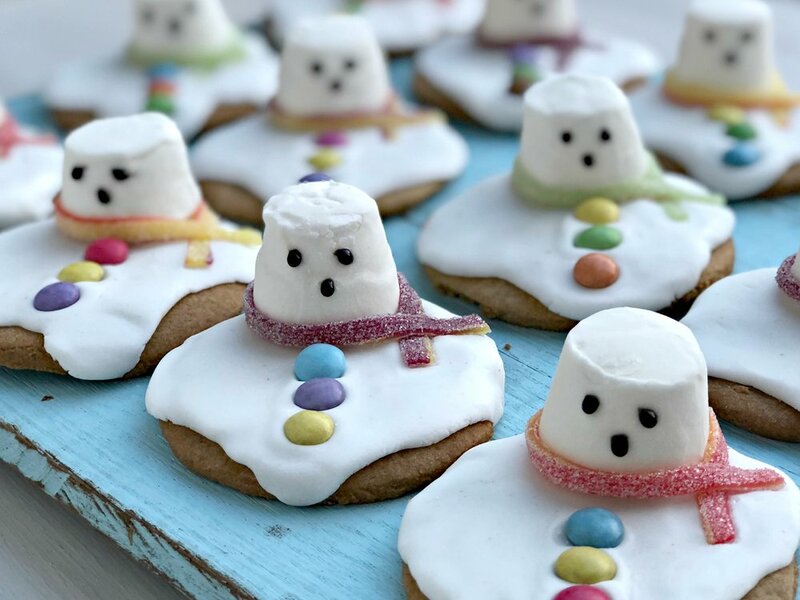 Make sure you make your cookies big enough to fit all your snowman bits on. Roll a small ball of fondant (around 15g) in your hand until soft. Use your hand to flatten it into a shape around the same size as your cookie. 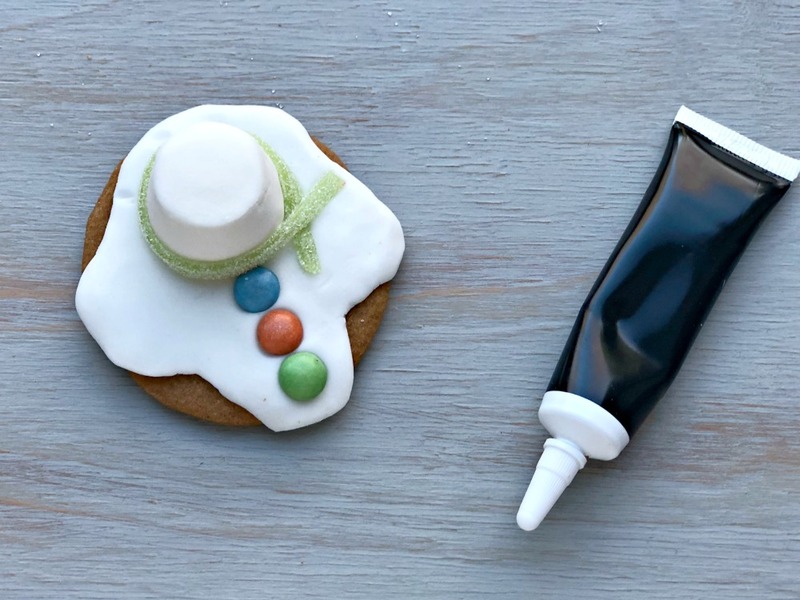 Press the fondant onto the cookie and use your fingers to push some of the edges of the fondant over the edges of the cookie to give the effect of melting snow. 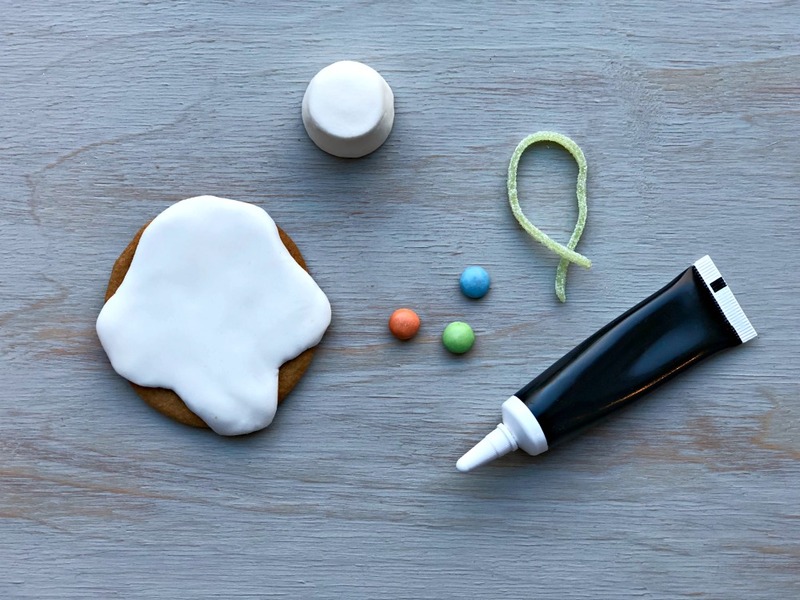 Use a little of the writing icing as glue to stick the marshmallow onto the fondant towards the back of the cookie, not in the middle. 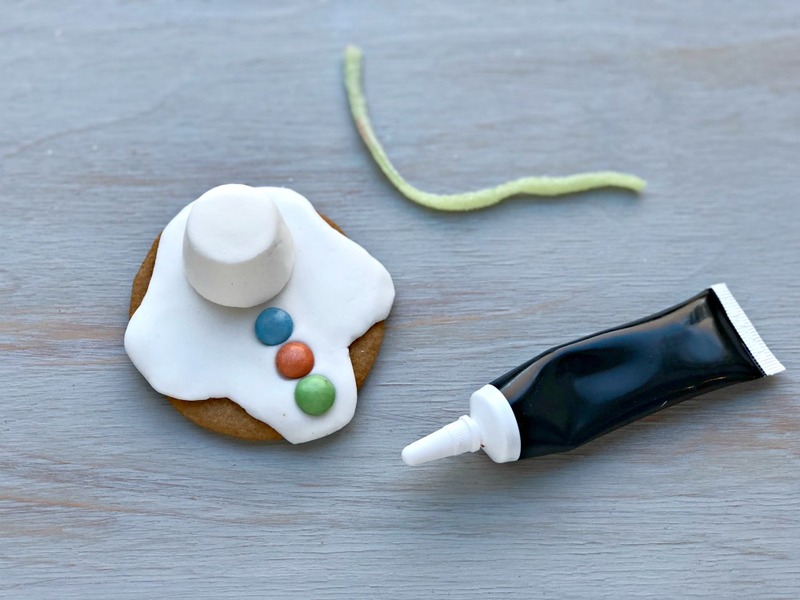 Press three colourful mini smarties into the fondant, in front of the marshmallow, to make buttons. Wrap the lace sweet around the base of the marshmallow to make a scarf. Cross over the ends to one side of his head and press into the fondant to keep the scarf in place. 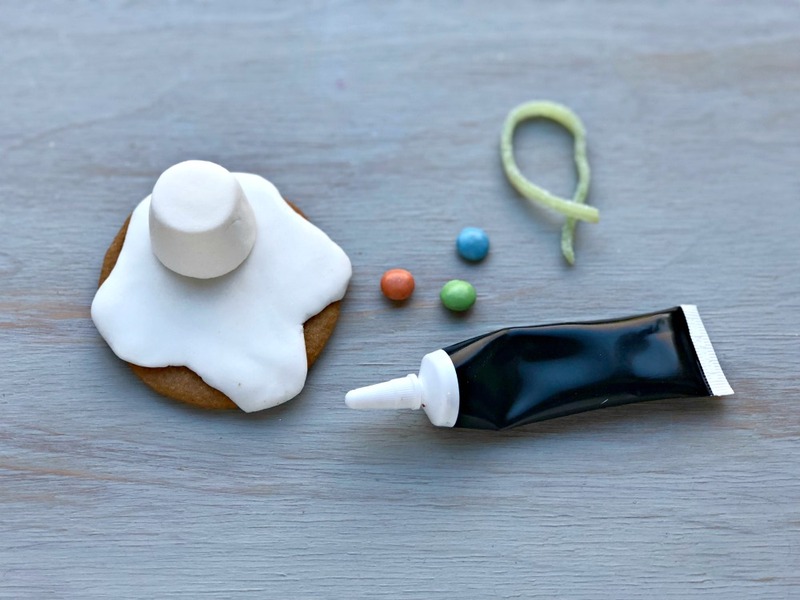 Use the black writing icing to make a face on the marshmallow. You could also use half an orange mini smartie to make a carrot nose for your melting snowman if you like.